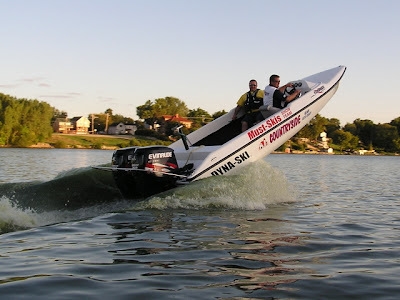 Dyna-Ski Water Ski Boats are designed to keep the bow of the boat down while taking off and pulling water skiers. 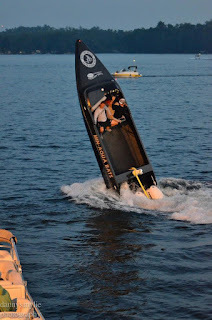 However drivers of our twin and triple motored boats discovered a long time ago that the twin and triple motored boats could be stood up or do a wheelie on the water and even driven along with the nose of the boat high in the air. Dyna-Ski boats does not suggest anyone try this and it can result in damage to the engine or engines. Damage that is not normally covered by any warranties. There is a lot of video on the web. 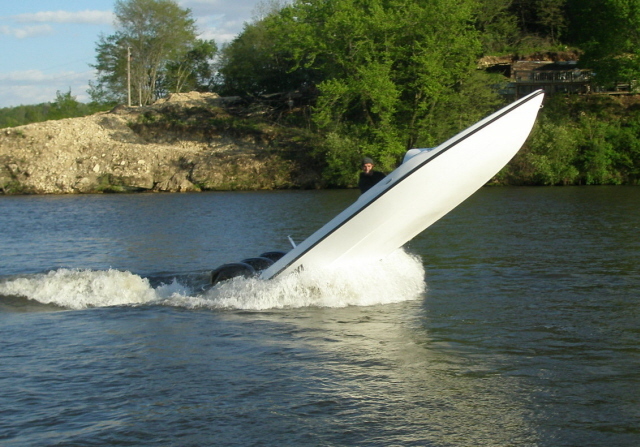 Just search "boat wheelies" and enjoy it. Below are a couple still pictures you may find interesting or not. 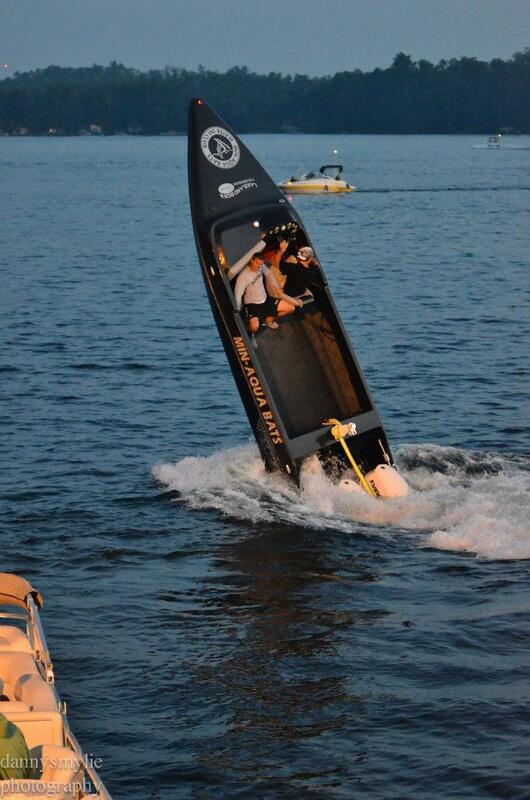 The boats have to be tough to stand up to this "special" use. I just got this new picture from a friend. Min-Aqua Bats setting the bar pretty high. 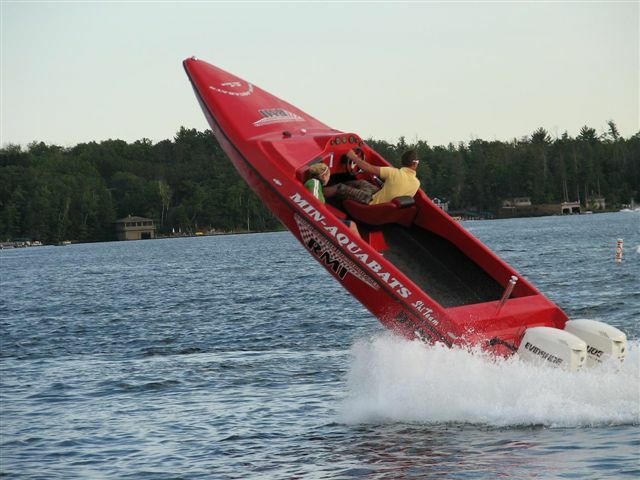 The most famous is the red Dyna-Ski of the Min-Aqua Bats. 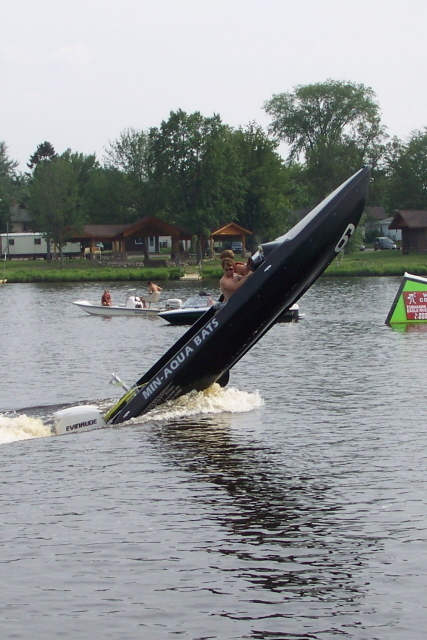 This was their first Dyna-Ski and had twin 150 Evinrude E-Tec motors. They are the kings of standing the Dyna-Ski up no doubt. 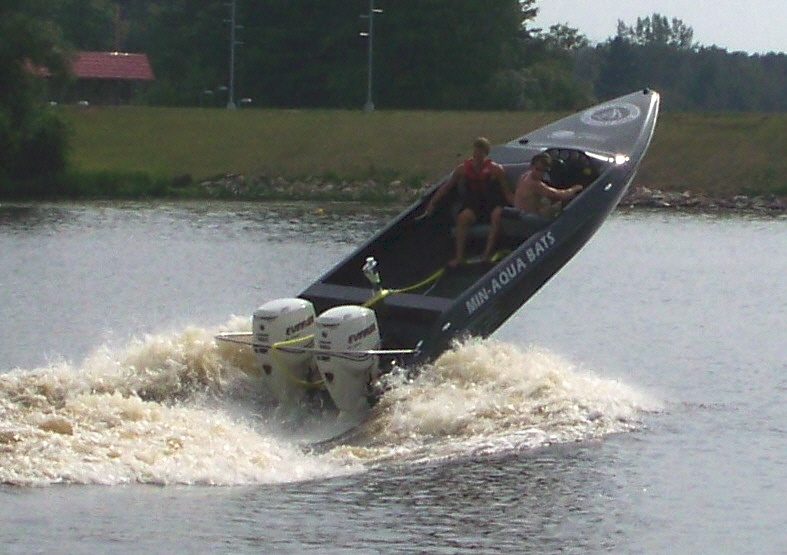 Min-Aqua Bats second and current 20' Dyna-Ski still with twin 150 Evinrude E-Tec Motors. and a driver that likes to give a little show once in awhile. This is a triple Dyna-Ski powered with four stroke150 Mercury Verado Engines. Again please don't try this at home . . . . . . .